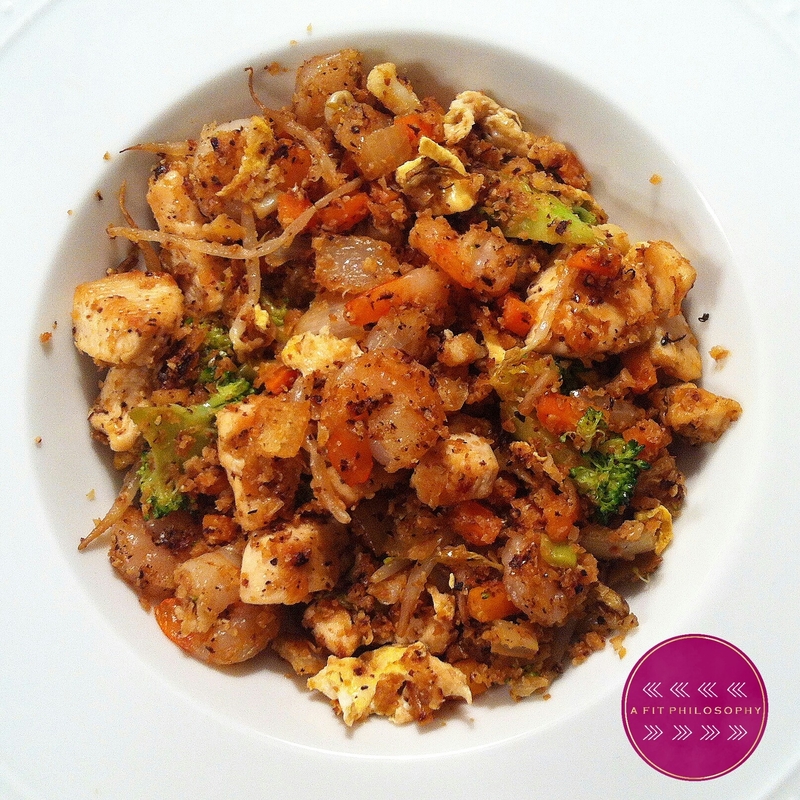 Ripped Recipes - Cauliflower Chicken & Shrimp Fried "Rice"
Home » Recipes » Dinner » Cauliflower Chicken & Shrimp Fried "Rice"
Put cauliflower into food processor, blender, or grate until cauliflower turns into "rice-like" pieces. I used the Ninja blender (I love my Ninja...I use it for everything). Stir in onions, carrots, and green onions, broccoli, and bean sprouts. Cover pan and cook for approximately 10 or so minutes. Last, but not least, cook your 1/8 cup of egg whites and 1/8 cup of eggbeaters (or 1 egg). Make sure to chop up the eggs into pieces with a flipper.